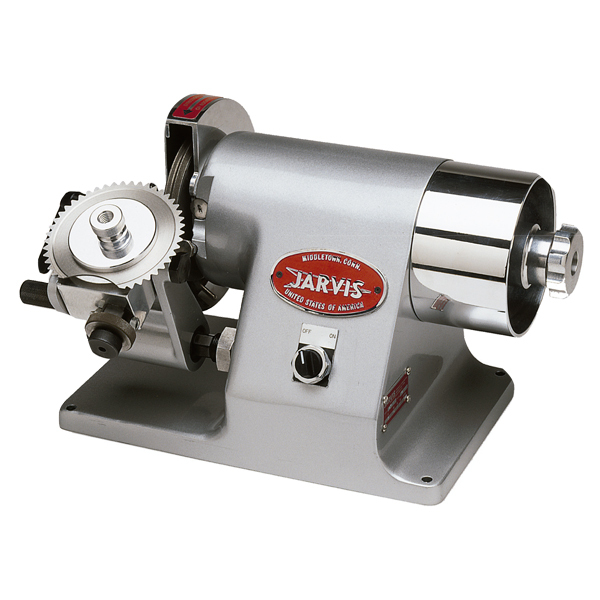 The Jarvis Model BR-5 / BR-5A / BR-5B and BR-5D – for perfect dehider blade sharpening. • Sharpens 100 mm (BR-5), 110 mm (BR-5A), 90 mm (BR-5B) or 100 mm and 110 mm (BR-5D) diameter blades according to original design specifications – reduces material removal for longer blade life. • Automatic positioning for dubbing – no fine adjustment required, simply select a fine, medium or heavy dub. • Precision indexer centers each tooth perfectly, eliminating operator errors – minimal training required. • Perfect blades every time, nothing else required.